3Lateral Studio is built around passion for creating characters and creatures. 3Lateral is currently employed to define visual style and design of 30 primary characters in feature length animation movie. We are able to communicate design through traditional and digital medium. Closely related to previous, it is often most efficient to realize our (or client’s ) designs in form of ordered mesh with all necessary high resolution sculpts and textures. Our clients often prefer that we rig these models which increases the efficiency of whole process as we will always know best what kind of meshes to build for future steps in the whole pipeline. With our RnD department we are constantly working on new solutions for rigging characters. We equally favor quality and productivity and term “solution” means satisfying both criteria for given task. Contact us for inquiries about your specific needs. Face rigging is huge topic at 3Lateral mainly because of extensive experience our team has and robust proprietary software we have built for this purpose. Our solutions go from current generation game rigs (PS3/Xbox 360/ PC) over next gen grade face rigs to VFX quality rigs. This is one area where we are extremely productive while still satisfying highest production organization standards and quality requirements. Face rigging is a very dynamic topic in the industry and we encourage you to contact us to gather latest information about developments in this field at 3Lateral. We offer 3D scanning services in our studio or on client’s locations with our mobile equipment. Not only that we can build assets based on collected data but we can also embed it in the rigs for enhancing realism. Contact us to arrange scanning session or to inquire about details. We offer a range of computer simulation services related to CG Characters- muscle, hair and cloth type simulations in popular packages as well as developing custom solvers. 3Lateral offers consulting and pipeline development services related to face rigging and animation. Through extensive experience and knowledge of our team we are helping our clients to avoid common problems, minimize risk and back and forth processes in their productions. As a part of Epic Game`s keynote held at GDC 2019, Vladimir Mastilovic (3Lateral`s CEO) outlined the evolution of 3Lateral’s digital humans and shared the vision for future development of digital humans technologies. World-class creators of digital humans tools, techniques, and content join Epic to advance the state of the art in games and filmmaking! CGA Conference was held for the second time in Belgrade on 16-17th November 2018. It was a great demonstration of bringing CG industry closer to the attendees! CGA Belgrade is a great platform for business networking and informal exchange of knowledge and information. We are proud to present CGA 2018 Opening video - AWAKENING, as a result of infinite creative synergy and collaboration between 14 Serbian studios, combining immense knowledge, creativity and expertise of our community. One more amazing conference took a place in our conference portfolio! 3Lateral will be @iVenturesON conference held in Toronto, Ontario from November 6 - 7th 2018. iVentures is a conference and marketplace for ideas across all forms of interactive digital media (IDM), including video games, eLearning, augmented and virtual reality, convergent media and much more. Our team member Luka Lakić, Senior Character Artist, will hold a lecture regarding virtual humans. We are proud to announce that 3Lateral, in collaboration with Faculty of Sciences (University of Novi Sad) and together with a consortium of universities from Milan, Lisbon, and Eindhoven, got awarded with Marie Sklodowska Curie project. The project is named BIGMATH and is a part of European Industrial Doctorates -- EID, whose goal is to create innovative study programs throughout partnership between academic and non-academic (industry/private) sector. BIGMATH – “Big Data challenges for Mathematics” – has been funded by the H2020 program. This is the first EID project awarded to Serbia. 3Lateral team will be attending Siggraph 2018 from 12-16th August in Vancouver, Canada. If you want to know more about 3Lateral services and technologies, as well as recent R&D updates we are working on, meet us there or contact us! 3Lateral was invited to introduce its technologies at the 20th International Conference on Human-Computer Interaction, held in Las Vegas, USA, 15 - 20 July. Rig Logic© and Volumetric Capture from 3Lateral were presented as the solutions that enable real-time interaction with digital humans. In the session titled "Puppeteering: Human Tracking in Virtual Space", 3Lateral also talked about the relevant use cases in the light of human-computer interaction that go beyond entertainment industry. 14th and 15th of June 2018 International #CGI Congress (#CGIC), Munster, Germany! Our Computer Graphics&Vision Research Engineer Relja as well as Data Aquisition Specialist Milica, will speak about Technologies Enabling Real-time Interaction with Lifelike Digital Humans! 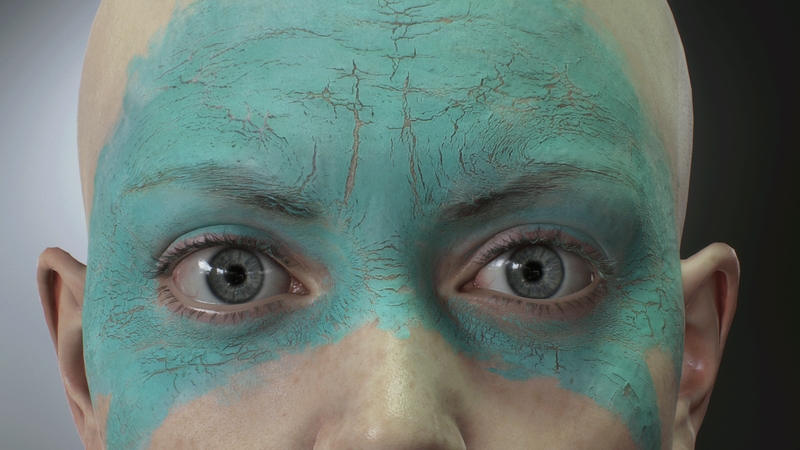 MeetSiren, a live demo of a realistic digital human solved, driven and rendered in real time will be at FMX! 3Lateral developed Siren in collaboration with Cubic Motion, Vicon, Unreal Engine & Tencent Next! Join us at FMX2018 at Vicon booth 2.1 (April 24-27, Stuttgart, Germany)! The content for our website update is currently being finalized. We will keep you posted for the official launch date, so keep following us on Twitter, Facebook, LinkedIn or at our website for news.Looking forward to share details about technologies and services from 3Lateral! 3Lateral will be launching new website that will present 3Lateral’s technologies, services and artistic efforts that will empower digital life! New website will be online from April 15th! 3Lateral technology will be shown at Siggraph 2016 under title "From Previs to Final in Five Minutes: a Breakthrough in Live Performance Capture" Epic Games teamed up with Ninja Theory, Cubic Motion, and 3Lateral to create the world's first believable human driven live by an actress within an Unreal Engine game world. In this demonstration, body, face, and voice are all captured live in real time and recorded to create a real-time scene. ​We'll be presenting our digital humans technologies at ​FMX on the 27th of April in Stuttgart, Germany and ​REBOOT on the 29th April in Split, Croatia. Hope to see you there! As part of an expert group, 3Lateral successfully executed a very ambitious demo at GDC 2016 in San Francisco which involved capturing, tracking, solving, animating and rendering a photo real digital character in real time. 3Lateral presented it's distributed Rig Logic system which communicated with motion capture FACS solvers from Cubic Motion and solved the deformation data in Unreal Engine by Epic Games in real time. This was all done with a character called Senua from Hellblade by Ninja Theory. Face capture was done by Technoprops, body capture by XSens and body solving by IKinema. Ready more about this technology here. Our new website is up. Big thanks to our friends at Kontrast Studio for doing a great job on it! Website is currently only "bare bones" but it will be great platform for adding future content. 3Lateral will be at Game Developers Conference 2014 in San Francisco from 17th to 21st of March. Together with Crytek we will present our scans to digital doubles for games pipeline used on Ryse: Son of Rome on the 18th of March at the Moscone center. We’ll be at International CGI Workshop in Hamburg, Germany from 20th to 21st February. Workshop is conceptualized as interdisciplinary event and we got invited by our good friend Matthias Langner to got outside of our comfort zone and see how other industries (i.e. beside film and games) would benefit from our technology. ​We have been very busy for past year and we’re hoping that in near future we will be showing publicly what we have been up to for so long but in the meantime we are happy to announce that we will be presenting at FMX in Stuttgart this year as well. We had fantastic time last year and we were thrilled to see our workshop full beyond capacity so we were strongly motivated to do even better this year. 3Lateral will be holding a 2 hour workshop on facial animation at FMX 2012 in Stuttgart, Germany. We’ll be posting more information about the workshop in April. 3Lateral director, Vladimir Mastilovic will be holding a one hour speech on face rigging techniques for current generation of games and elaborating key improvements to face rigging that might be possible on next generation consoles. 3Lateral is built around passion for creating characters and creatures. It gathers most diverse people since this is industry that has to marry seemingly incompatible skills - rebellious artistry and disciplined engineering practices. This is exactly the type of fusion of skills that excites and surprises us, when we find inspiration in the opposite character. This is where magic, the fundamental force that drives all animators, happens for us and makes us confident in the path we see to our visions.